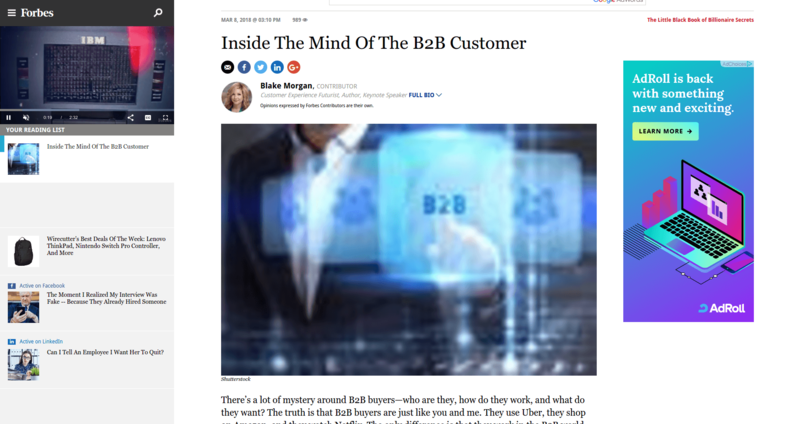 Blake Morgan insists that the mystery around B2B buyers is overrated - they are just like you and me. 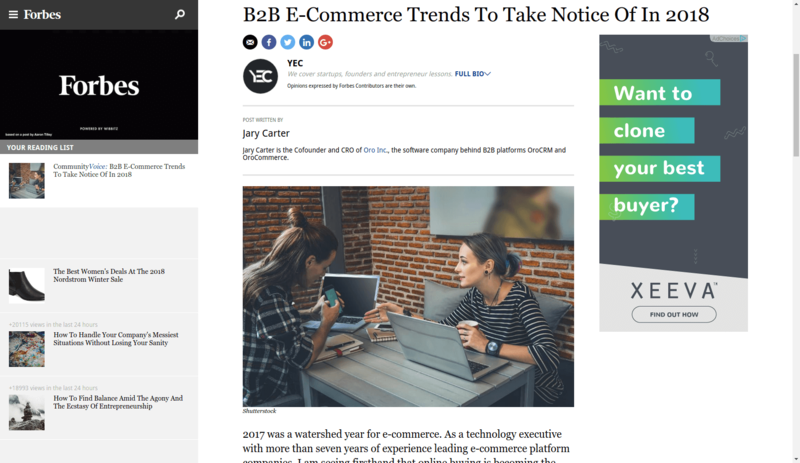 The only difference is that they work in the B2B world, where sales processes are horrible and often referred to as minefields. 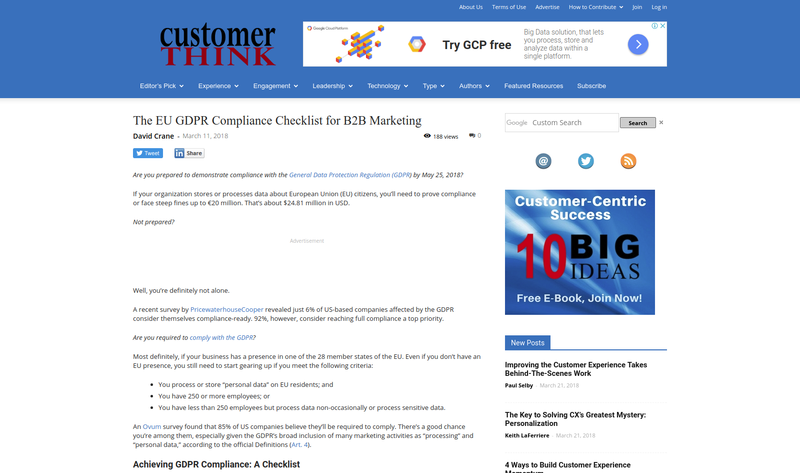 If your organization stores or processes data about European Union (EU) citizens, you are better get compliant with the General Data Protection Regulation (GDPR). by May 25, 2018. David Crane’s checklist will help you to meet all the major criteria. 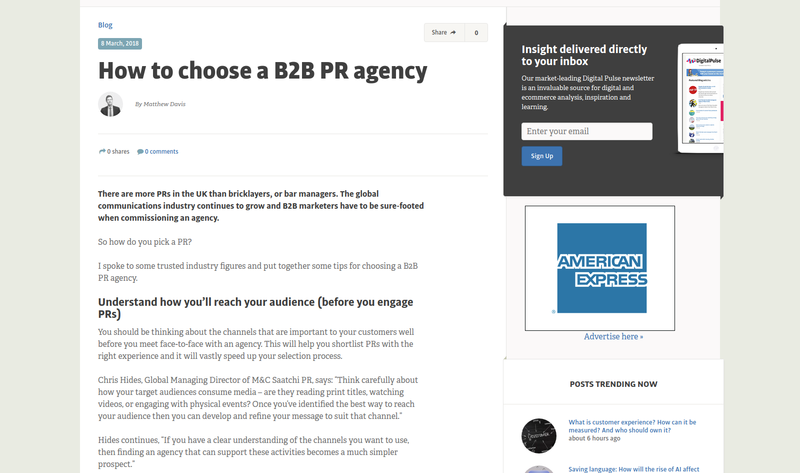 The global PR industry continues to grow and B2B marketers have to be sure-footed when commissioning an agency. So how do you pick a PR? 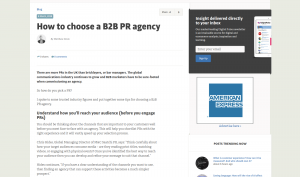 Matthew Davis spoke to trusted industry figures and put together some tips for choosing a B2B PR agency. B2B marketing has its unique sides and challenges. 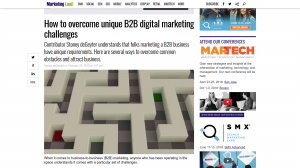 Stoney deGeyter offers several ways to overcome common obstacles and attract leads. Influencer marketing exploded in the B2C space, but the common formula doesn’t fit B2B technology companies. Jake Athey shows how B2B brands can create relationships, tap into narratives, and leave signals that make influencer marketing authentic and powerful. 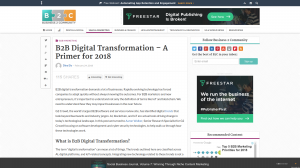 Rapidly evolving technology has forced companies to adapt quickly without always knowing the outcomes. 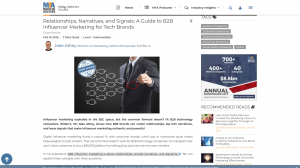 For B2B marketers and new entrepreneurs, it’s important to understand how it may impact businesses in the near future. P.s. In case you are interested in using a unified API for over 35 shopping carts and marketplaces, do not hesitate to contact us.